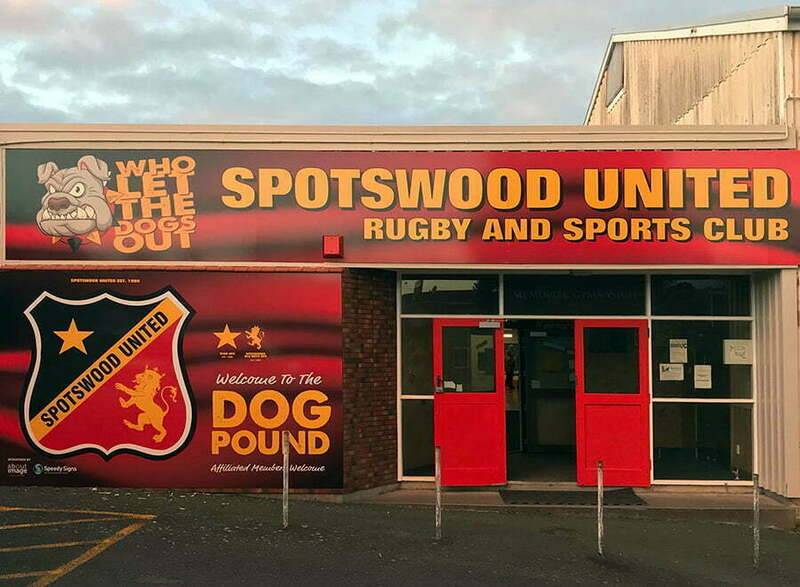 The Spotswood United Rugby Football & Sports Club Inc was formed in November 1990 through the amalgamation of the Star and Spotswood College Old Boys Rugby Clubs. The Star Rugby Club was formed in 1889. The original club laid its foundation the year before in 1888 when a group of enthusiastic young lads got together to play and called themselves the ‘Red House’ Club after the nearby Red House Hotel – later to become the State Hotel. They practiced and played a few games at the St Michaels Square the current site of Central School. The following year it was thought inappropriate that the young club called itself after a Hotel so a meeting was called of all interested parties and the Star Rugby Football Club was born with the first playing strip of dark and light blue hoops adopted. It was in 1892 the club changed it’s playing strip to a Black Jersey with a 5-pointed Gold Star – this was the strip played in right up to the amalgamation with a few tweaks along the way. The club had its first success in 1896 when the club won all three competitions that were played in Taranaki at the time – it was also about this time a syndicate of club members was formed to purchase land in Fitzroy and a ground with a banked cycle track around the outside was formed. This was the club base and was highlighted in 1900 when the Taranaki vs Otago rep game was played at the ground. After the land was relinquished the club was based at numerous locations including a site on Mangorei Road, the Racecourse, Pukekura Park and finally to Rugby Park, the present Yarrows Stadium. In 1902 the first Dan O’Brien Day vs Tukapa was held and these are always fiercely competitive occasions and are always keenly looked forward to by both clubs up to the present day. The club went into recess for the First World War from 1916 to 1919. After struggling for some years with playing and administration numbers due to the commitments of members to the two World Wars, strength in both areas improved to reach great heights in 1947 and 1948. In 1947 the club won the Taranaki Sixth grade and Senior A titles and again in 1948 when the club had their most successful season with the Fourth Grade, Third Grade and Senior As all winning Taranaki titles. 1950 was a significant year for the club – the Star and Tukapa clubs combined to purchase an area of 11 ½ acres of land to the south and west of the then Rugby Park for the purpose of ultimately providing more playing fields – 1 acre of this land was sold to the Education Department for the extension of Westown School – another 2 acres fronting Clawton St was sold off with the remaining 8 ½ acres, which was sufficient for two playing fields, been retained. For some years the two clubs farmed the area, selling hay, letting for grazing and running sheep until 1958. In this year the clubs handed over the title Deeds of the unencumbered (no debt) property as well as a cheque for £2,500 (a significant amount in 1958) to be used for the development of the land into playing fields – these are the current No3 and No4 grounds we enjoy today. The wisdom and foresight of the two old rival clubs to combine for this remarkable scheme saw both clubs receive the rights in perpetuity to access these two grounds – these rights had a bearing on decisions leading up to the Star club’s amalgamation some 30 years later. 1957 was another significant year in the club’s history as after seven years of fundraising and £1 for £1 War Memorial subsidy from the Government, saw the opening of the Star Rugby Football Club War Memorial Gymnasium – the club never looked back, they could now, and still do enjoy what are considered the best club playing and social facilities in the province – this also proved to be another important aspect in the amalgamation considerations. In latter years the Star Rugby Clubs fortunes fluctuated between Division 1 and 2 and at the time of amalgamation were in the Taranaki Division2 competition. Over the One Hundred years of Star Rugby, the club produced five All Blacks. A.L. (Skinny) Humphries as his name implies, was a man of small stature but mighty in ability. Humphries along with his Star team mate ‘Snip’ Allen was a wonderful half-back/first five combination for their club, province and in 1897, their country. He went on to play fifteen matches for the All Blacks scoring a total of 47 points which included three tries, eighteen conversions and a penalty. Humphries had a long involvement with rugby after his playing days and among his achievements was the management of the All Blacks in 1908, Taranaki Selector and TRFU President in 1924. An accountant by profession, he died in Wanganui in 1953. An exceptionally fast winger ‘Bunny’ Abbott represented New Zealand in the team known as ‘the originals’. He played eleven matches including one international and scored a total of fifteen tries. A blacksmith by trade he retired to the Manawatu and died in 1971. View profile on Allblacks.com. N.P.B.H.S 1st Fifteen 1956-59, Wellington 1960-62, NZ University 1960- 62, Taranaki 1963-69, North Island 1961 1962 1966, NZ Trials 1961-63, 1965-68, NZ Colts 1964, All Blacks 1961-63, 1968. As that record shows Neil Wolfe had a great career at the top spanning some eight years. Neil started his rugby with Star in the lower grades and returned to the club in 1963 following his selection as an All Black in 1961 in which he played three tests against the French before his 20th birthday. Neil played for the All Blacks again in 1962 on a tour of Australia and against England in 1963. He was selected again in 1968 to tour Australia after scoring two tries as a replacement in the All Black trials. Neil continued to serve the Star club after his playing days serving on committees and with coaching advise at numerous levels. View profile on Allblacks.com. Selected as an All Black in 1979 to play against the touring Argentinians he had the misfortune to break his leg playing against Counties for Taranaki the day the New Zealand was named. The opportunity did not come his way again and he is regarded as being one of the finest loose forwards not to have taken the field in an All Black jersey. Ross, Donkey or Concrete as he was more widely known, played for Star through the grades and was always an influential part of any team in which he played. An extremely fit, mobile and rugged loose forward, he represented Taranaki in over 100 games from 1973 through to 1982 when he retired. He played in All Black trials in 1977, 1978 and 1979 and represented the North Island in those years. A keen all-round sportsman he gained National honours in Surf- lifesaving where he was selected for Internationals against South Africa in 1971 and Australia in 1972. Ross continued his involvement with rugby after his retirement and was the Taranaki Colts selector/coach in 1988. A panel-beater by trade he still operates his own very successful business in New Plymouth. The Star club was served by thousands of Players, Coaches, Managers, Committee members and supporters over the 100 years with many of those still associated with the amalgamated club as we head into our 130th year of rugby in 2019. The Spotswood College Old Boys Rugby Club was formed in 1964 through an affiliation to the Spotswood College. The Patron of the newly formed club was Mr A.L. McPhail who was the first principal of Spotswood College that had been officially opened four years earlier in 1960. Mr McPhail was in fact the Patron throughout the entire Twenty-Five years of the Spotswood College Old Boys Rugby Club. It was a group of new Old Boys from the College that got together to instigate the formation of the rugby club. The club was initially based at the College playing their club games at the ground on Omata Road and at Rugby Park. 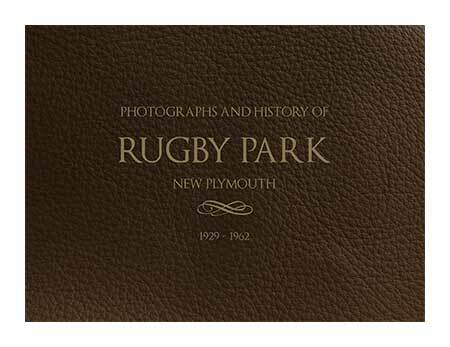 In latter years an agreement with the New Plymouth City Council saw the club based at the old council landfill site in Cook Street Marfell where in 1977/78 a clubrooms and changing facility was built. Over the years the playing fields at the ground proved problematic and although fine facilities were built by members over the years, all Senior games for the club continued to played at Rugby Park. Although was not successful in winning a Senior Taranaki Title, the club enjoyed many successes in the age grades and were promoted to the Taranaki Senior Division One competition in 1978 with the current Spotswood United President, Graham Nixon a prominent player in that team. 1987 saw the club take the Under 17 ½ Taranaki Title with current Spotswood United Chairman Tony Standen a player in that team coached by current Life Member Bruce Sutton. Further success followed in 1980 with a Third Grade Title and the Under 19 Title in 1988. 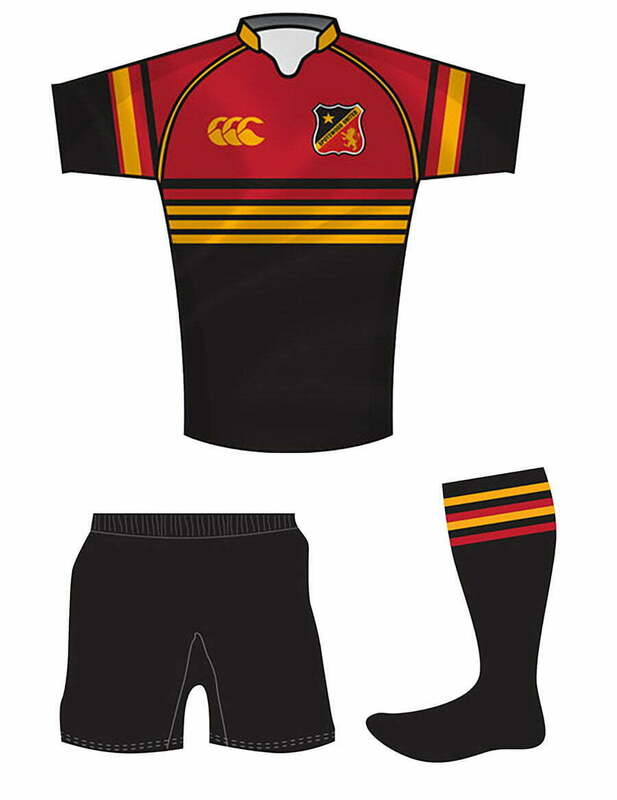 The club produced many players to Taranaki teams over the years and was the club synonyms with playing open running rugby in there bright red playing strip. Spotswood United Rugby Football & Sports Club Inc. Discussion between the two clubs started during the 1988 season and a committee made up of equal numbers from both clubs was formed in 1989 and worked through the numerous pro and cons of an amalgamation. A subcommittee made contact with numerous amalgamated clubs around New Zealand and a visit was made to two clubs in Auckland to gauge the positives and negatives that had been encountered. Two of the biggest obstacles these clubs had to overcome were found to be the same hurdles our committee had to grapple with – location and name and to make an amalgamation work compromises had to be made in both of these aspects. The Star club had previous amalgamation meetings with both New Plymouth Old Boys and the Tukapa clubs and although both of these clubs had initiated these discussions, neither were prepared to compromise on these aspects therefore negating any progress. Both clubs owned their buildings with both on Council owned Land so there were no anomalies in that regard. During discussions, it became evident that the facilities at Marfell Park would be more saleable to a number of organisation and in fact the Spotswood Old Boys club had received inquiry from Soccer once the amalgamation rumours started circulating. The facilities the Star club enjoyed at Rugby Park were second to none and could only ever be suitable for a rugby organisation. Therefore, it was a unanimous decision that the Spotswood Old Boys facilities would be sold and the facilities at Rugby Park would be the amalgamated clubs base. This was the most contentious issues for both clubs and was the issue that provoked most debate at Special General Meetings held by the clubs. It was interesting that those with the strongest opinions on this topic were mostly those not associated with either club for some time. If these same individuals had remained active in their respective clubs there may not have been the same necessity for amalgamation talks. There were many names suggested including, Suburbs, Westown, Western Suburbs, New Plymouth, Star Old Boys, Spotswood Star, Star Spotswood, City, United, Central and so on. It was important to retain a relationship with Spotswood College and that was the focus on the final decision. At the end of all discussions it was agreed the compromises made by the Spotswood Old Boys club to relinquish the facilities at Marfell Park had to be matched with the same compromises around the name to bring the amalgamation to fruition. It was agreed that the amalgamation would proceed in November 1990, the Spotswood College Old Boys Club would be wound up and their assets and liabilities would be transferred to the Star Ruby Club and they would change its name to Spotswood United Rugby Football & Sports Club Inc.
Star RFC and Spotswood Old Boys Rugby Clubs who amalgamated to form Spotswood United RFC in 1990. 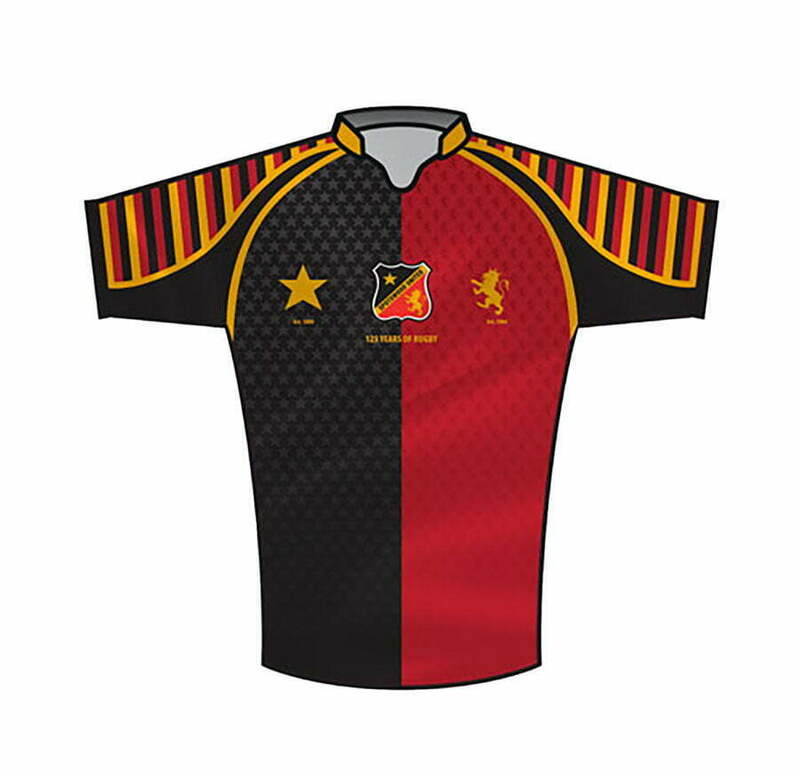 Our playing strips identify elements from both teams jerseys. In 2014 we celebrated our 125 Jubilee year. Our teams wore the with pride the special Centenary jersey below.